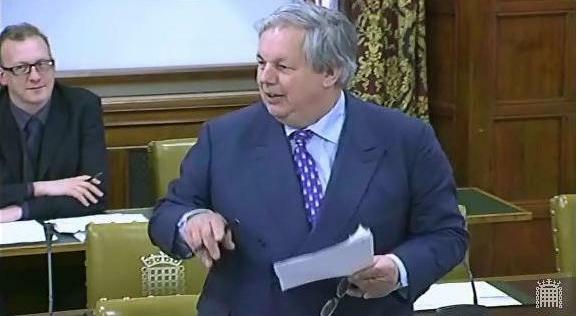 On the 25th June 2013 in Westminster Hall, the Second Church Estates Commissioner, Sir Tony Baldry, led a debate on the issue of bats in churches and the impact of the EU habitats directive. Sir Tony described the negative impact that bat populations can have upon artefacts within churches and also the health threat that they pose to members of the congregation. Sir Tony Baldry (Banbury) (Con): I am grateful for the opportunity to raise the issue of bats in churches and the impact of the EU habitats directive. The House will not be surprised that I wish to do so, given my role as the Second Church Estates Commissioner. At the outset, I want to make it clear that as far as I am concerned, bats are part of God’s creation. Indeed, there are three specific references to bats in the bible: Leviticus, chapter 11, verse 19; Deuteronomy, chapter 14, verse 18; and Isaiah, chapter 2, verse 20. Bats are part of the interdependence of God’s creation, but the numbers of some bat species in the UK are under pressure, which is why the EU habitats directive applies. Bats are mammals, and one of the things I remember about mammals from my A-level zoology course is that they can be distinguished from other species by seven characteristics, two of which are that mammals defecate and urinate. The blunt reality is that bat faeces and bat urine have the potential to cause and do cause enormous damage in churches. English parish churches and cathedrals have significant holdings of monumental sculpture that date back to medieval England. Bat urine and faeces are extremely damaging to church monuments, as they are to other important artefacts in churches. Bat urine decays to form dilute ammonia, which is alkaline, chemically aggressive and can cause pitting, staining or etching on porous or polished material. Monumental brasses are particularly affected by the urine. It causes corrosion, evidenced in a disfiguring spotted appearance to the surface, as on the brass at the church at Elsing in Norfolk—one of the finest brasses in England. Sculptured monuments are also being damaged by bat urine and faeces. The small number of medieval wooden effigies that survive in England are susceptible to damage to the pattern of the surface, which has been built up over centuries. Bat urine can also harm precious original paint and other surface finishes on historic monuments. For example, the church of St Peter ad Vincula at South Newington in my constituency has some very fine—almost unique—medieval wall paintings, which were spared by Thomas Cromwell’s men, but having survived the ravages of the Reformation, these irreplaceable parts of our national heritage are now threatened by bat urine. A build-up of bat faeces on the porous surface of monuments, especially marble and alabaster, is also problematic. The excreta hardens and is then subject to moisture, which is common in churches. Bat faeces can cause marked discolouration and other harm. Of course, it is possible for monuments to be protected to an extent by covering them with sheets of plastic, but that is unsightly, prevents them from being seen and enjoyed by the wider public, and can produce a microclimate that leads to other conservation issues. Importantly, churches are places of worship; they are not field barns. I fully appreciate that one of the challenges for bats is that some of their natural habitat is threatened, but there has to be a balance. Churches are active community centres; indeed, the Church of England is making every effort to ensure that as many churches as possible can be centres for community use and community life, used throughout the week, not just for a few hours on a Sunday. Churches play host to a wide range of events, such as children’s playgroups and lunch clubs for the elderly, for which a domestic level of hygiene is expected. Large internal roosts of bats have significant financial and human costs to those who worship in church buildings. The cost of cleaning, bat monitoring, delays to building work and bat mitigation measures are significant and must be funded by weekly church collections, at the expense of the other pressing demands of sustaining the church community and church buildings. The amount of monitoring and mitigation required, before even basic repair works can be undertaken, can act as a disincentive to the ongoing maintenance needed to retain a church building in good condition. Such delays are not only costly, but disheartening for church congregations and communities, who work hard to keep church buildings alive and fit for community use. Many of the churches affected by bat infestation are approaching a situation where their buildings may be unsustainable as places of worship. It is sometimes said that excluding bats from churches will render the bats homeless, but there is every chance that church congregations will find themselves homeless and without a place of worship, with listed buildings left unoccupied. That solution is surely undesirable for both bats and people. The costs are not insignificant. St Hilda’s, Ellerburn, in the constituency of my hon. Friend the Member for Thirsk and Malton (Miss McIntosh), Chair of the Select Committee on Environment, Food and Rural Affairs, has so far spent some £29,000 on mitigation repairs. Another typical example is St Andrew’s church in Holme Hale, Norfolk, which was forced to spend £2,600 in a single year on cleaning costs to clear up after its resident bats. The mitigation work associated with church repairs over three years for just one architect—just one architect!—totalled £57,000. We will all have enormous sympathy with the congregation and the community of East Keal in Lincolnshire who are confronted with those challenges. a licence can be granted under regulation 53(2)(g). I would have thought that if bats were fouling a church, or otherwise making it, or parts of it, unusable, that would constitute “serious damage” to property. I cannot see why a licence cannot be issued if it is for the purposes of preserving public health. A licence can be granted under regulation 53(2)(e) on such grounds, and if it can be shown that the use of a church, and the public health of the congregation and the general public, have been damaged by bats, it should be possible for Natural England to grant a licence. “imperative reasons of overriding public interest including those of a social or economic nature and…of primary importance to the environment”. In such circumstances a licence can be granted under regulation 53(2)(e). I would have thought that being able to use a church as a church, and being able to have churches not only as places of worship but increasingly for use by the wider community, was a matter of overriding public interest and importance. Moreover, as far as the second part of the test is concerned, when one has regard to grade I or grade II* listed churches, the removal of bats will make possible the preservation and enhancement of a listed building, which is of particular importance to the higher grades of such buildings, and to our national heritage. I appreciate that Natural England cannot grant a licence under regulation 53(2) unless it is satisfied of two further matters. The first is that there is no satisfactory alternative under regulation 53(9)(a), but I cannot see that being a problem. Obliging churches and church congregations and communities to co-exist with bats is plainly not a “satisfactory alternative”. Kerry McCarthy (Bristol East) (Lab): I am finding the debate very interesting. Is the hon. Gentleman aware that many churches do co-exist with bats? Is he aware of the work of the Bat Conservation Trust and its national bat helpline, in helping churches to adapt to having a bat population? I appreciate that protecting both historical buildings and a protected species is difficult, but the trust does some good work. Sir Tony Baldry: This debate would not be necessary, and I would not be detaining the House by raising the issue, if it had been possible to sort out satisfactory bat mitigation measures. If the hon. Lady would like to visit with me some of the congregations and communities whose lives have been made difficult and whose churches have been made unusable as a consequence of bats, I will most certainly arrange that. The Bat Conservation Trust has singularly failed to solve the problem as, in my judgment, has Natural England, and that is why it has been necessary to raise the issue and to continue to press the Minister to find a solution. Only this week European Union Heads of Government were giving thought as to how to protect freedom of religion within the EU, and I cannot believe that the European Commission and the Commissioner would want a situation in which it was not possible for congregations to worship in churches that go back to the time of the Conqueror, because of bat infestations. “will not be detrimental to the maintenance of the population of the species concerned at a favourable conservation status in their natural range”. Again, unless the bats were of a particularly endangered species—for example, Greater Horseshoe bats—it is difficult to see how that provision could cause a problem to Natural England. For far too many churches and communities it seems to be taking far too long to achieve the reasonable mitigation or exclusion of bats, with practical difficulties and expense involved in seeking permission and getting licences, without any guarantee as to the outcome. I cannot believe that if I were to get in touch with the EU Commissioner they would consider it appropriate that churches were being treated in that way. There needs to be a significant reduction in the costs, along with a simplified process for securing a licence from Natural England. As I have already indicated, mitigation work associated with church repairs over three years for just one architect in one church totalled £57,000 and, prosaically, a replacement of a broken window quarry with a lead back-flap cost £140 rather than the £5 it would have cost for plain glass, which is the equivalent of four weeks’ collection in the rural parish church of Wiggenhall St Germans. At the moment, the expense of getting a licence is prohibitive and, as a consequence, the law is inoperable. The potential for bats to spread disease is of significant importance to churches that provide food and drink in their buildings, and have old people’s and children’s and toddlers’ groups. I know that my hon. Friend the Minister is as anxious as we all are for a solution to be found. This is a serious problem; it is not a joke. The issue is getting more difficult, more frustrating and more challenging for more communities all the time, and we look to the Minister and the Department for Environment, Food and Rural Affairs to come forward with practical proposals to ensure that churches and communities can worship and flourish unimpeded by bats. The Parliamentary Under-Secretary of State for Environment, Food and Rural Affairs (Richard Benyon): I thank my hon. Friend the Member for Banbury (Sir Tony Baldry)for raising this important issue. It is always a pleasure to see him, but I was dismayed that not long ago he had to bring yet another delegation to my office—a Trollopian group of senior clerics and others—to talk about the problem yet again. I would have hoped it unnecessary to have this debate, but I recognise that the problem persists, and I hope to be able to reassure him that we are tackling it. The simple way to look at the issue is to say, “We can interpret the regulations how we like, and if the European Union doesn’t like that, we will see it in court,” but that is not a sensible approach to such directives, as my hon. Friend well knows from his experience in my Department. The alternative is to seek to change the directive and its implications for churches and other places of worship. That approach may have merit, but it is a longer-term route down which we need to go in a proportionate way because, as I will go on to say, we should be mindful of the species that we are discussing and the serious declines that they have suffered. The third way is to seek to find a solution within the framework of the directive, but one that is quick and effective, and I hope to give him some comfort about that in the remaining minutes. I stand by every word that I said in reply to my hon. Friend’s question in the House. It is clearly not acceptable that people’s rights to worship in buildings that were consecrated many centuries ago and are used for that purpose should be affected in such a way. Equally, it is not acceptable that priceless artefacts or the furnishings necessary for a church to function as a place of worship should be damaged or put at risk. He clearly outlined that that is happening in many churches because of the presence and impact of bats. The way in which I look at churches has changed since the problem was brought to my attention. My mind now occasionally strays from the sermon, and I look up to see the impact that bats may be having in my church or elsewhere. In the vast majority of places of worship, it is managed perfectly well: either the quantity of bats is small or the species does not affect the premises, or the bats are properly dealt with by those who manage the building, but in all too many cases there is a serious problem. My hon. Friend is right to raise a problem that causes great distress to people who value places of worship not just for their heritage and religious importance, but for what they do for their communities. Like my hon. Friend, I support bat conservation. As he said, bats are another of God’s creatures and are part of our natural heritage: 17 species of bat are resident and breed in the UK. I want to say a few words to put into context the protection that they enjoy before I turn to the specific issue of bats in churches. Until very recently, the number of bats in this country had suffered a dramatic decline, most notably because of changes to habitats, such as the loss of many of our hedgerows in the last century and the destruction or refurbishment of many traditional buildings. Those changes, particularly the loss or alteration of other old buildings, have resulted in bats increasingly making use of and seeking refuge in some older churches. In turn, those buildings have in some cases probably become more important to the survival of bats. Although the presence of small numbers of bats in churches rarely causes any problem, larger numbers certainly can result in intolerable problems in some churches. Given the reduction in the number of bats and the threats that they face, all species of bat have been listed in the EU habitats directive, but as my hon. Friend said, there are a number of derogations from otherwise prohibited actions, including activities that cover public health and safety or the prevention of serious damage to property. Natural England is the licensing authority for such cases in England. One or both of those tests would clearly seem to be met in the circumstances that we are discussing, but the directive and our implementing regulations require some checks and balances to ensure that harmful or unnecessary actions are not permitted, such as that the action must not negatively affect the conservation status of the species and that there are no alternatives to the actions proposed. Although many people may agree with my hon. Friend’s points about the likelihood of bats finding alternative roost sites and, indeed, about the unacceptability of the alternative of doing nothing, the tests are not easy to meet, as is clear from some European Court cases. Frustrating though that is, it is a fact. As my hon. Friend and I have inferred, the problem may be that some affected populations are the rarest and are in locations of particular importance to the species. Like him, however, I simply do not believe that those who drafted the habitats directive intended to render places of worship unusable to congregations or to impose unreasonable financial burdens on them. That cannot have been the purpose of the directive, and we must find a way round it. It is clear that the granting of permission—for example, to destroy a bat maternity roost by blocking access to it—might result in challenge and delay. Nobody, least of all parishioners, wants a long drawn-out debate; they want solutions. To achieve solutions and resolution to such intolerable problems sooner rather than later, we are taking action on two fronts. First, we are making sure that the guidance offered by Natural England and the national bat helpline is clear, proportionate and unambiguous. Secondly, we are undertaking specific actions at several churches to find means of moving bats away from sensitive areas. Unfortunately, there are examples of costs and delays occurring, as my hon. Friend has mentioned. For that reason, I have asked Natural England to look again at the guidance that it provides to churches about the sort of operations that can take place without a licence or a bat survey. The figure that he mentioned of the cost to a small rural church is intolerable: the process has to be quicker and cheaper, which I am doing everything I can to ensure. To make sure that unnecessary costs are not incurred, I have asked Natural England to provide guidance on the nature of surveys that may be required or the sort of actions to prevent impacts on bats. I believe that many problems come not from Government agencies, but organisations such as building companies or architects who say, “Oh, you need to do this,” or “You will get into trouble if you don’t do that.” We need to get to those people as well, because they advise church wardens and others about what they can and cannot do. There is a lot of misunderstanding about what is required. I have also asked Natural England to look into reports of over-zealous advice being given to churches. It has assured me that it will investigate any such instances. I rely on my hon. Friend, in his position as the Second Church Estates Commissioner, to keep me informed of the dafter stories. Better guidance will go a long way to minimising the impact of bats on most churches, but as we have heard, large populations of bats cause serious concerns in too many churches. In those cases, dealing with them is not just an expensive chore; they can make the church unusable at the worst times. That cannot continue, so we are funding research to find ways to move bats to less sensitive areas of churches. In a two-and-a-half year project, a team led by Bristol university is investigating the combined use of deterrents and alternative roosting sites, such as bat boxes, to encourage bats to move away from sensitive areas in churches. The study, which is taking place in eight Norfolk churches, began in 2011, and the project trialled the use of three types of deterrent—lighting, acoustic and radar—last year. For those who think that we can just block bats out of churches, that is more difficult than they possibly imagine. Many of the buildings are mediaeval and have more ways in than we can imagine. The most dramatic effects were found when using 500 W halogen lamps: the bats simply refused to come out of their roosts. That solves one problem, but it might create another by entombing the bats, possibly resulting in the presence of rotting carcases within the infrastructure of a church. Therefore, the Bristol university team will trial smarter uses of lighting this year to see whether such a relatively cheap method could be used effectively by churches. Based on last year’s results, acoustic devices appear to present the best hope for a solution. To date, those devices have been used only for short periods, but they were effective in moving the bats from their maternity roosts to other parts of churches and, in some cases, in moving them out of churches. This year, acoustic devices will be used for longer periods to prove, I hope, that the bats do not habituate or get used to the devices and simply start to ignore them. At the same time, Bristol university has initiated work to explore the use of a prototype acoustic device that would be portable and cheaper to use. I am hopeful that extended trials this year, together with the production of portable devices, will finally produce a permanent solution to the problems that many churches have had to put up with. I look forward to seeing the results of the work at the end of this year and to sharing those results with my hon. Friend and the Church. Those deterrents may not, however, provide solutions for all churches. I conclude by mentioning one situation that my hon. Friend raised—that of St Hilda’s, Ellerburn, in North Yorkshire. St Hilda’s is a single vestibule building, and in such a case there is simply no possibility of moving bats to a less sensitive area. To resolve the problem there, Natural England has let a contract to gain the necessary evidence to enable the complete exclusion of bats from the church. It was hoped that the exclusion would occur before the bats begin to arrive in a week or two’s time, to avoid entombing the young bats. If, because of the unpredictable weather, insufficient data were gathered before the summer to support an exclusion at St Hilda’s, work will continue over the summer to ensure that there is enough information to reach an absolutely clear resolution of the problem in that church. I very much appreciate this opportunity to outline a problem that I am absolutely determined to resolve. I really respect my hon. Friend for how he introduced the debate, and for his work to resolve this problem.